Located in an intentional farming community in rural West Virginia, the design of the Broomgrass Home was informed by the client’s desire for a contemporary, sustainable, modular-built residence that incorporated Passive House principles, renewable energy systems, and methods of natural resource conservation including rainwater catchment as well as greywater and blackwater processing and reuse. An airy open-plan design for living, dining, and kitchen areas provide ample space for entertaining, and additional bed and bathrooms on the second floor were designed to accommodate visiting family. 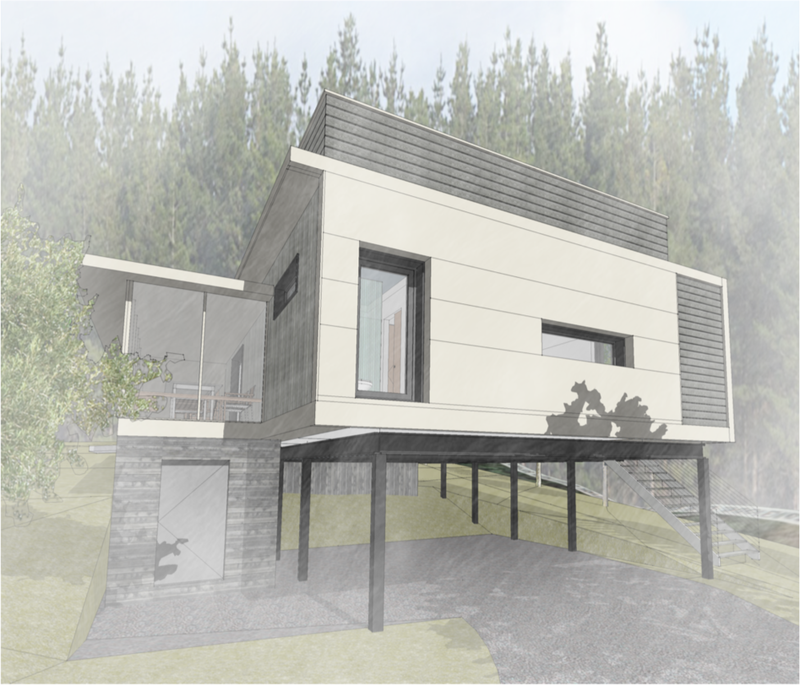 Taking a modular approach to construction of the Broomgrass home allowed us to design a building that was both cost-effective and highly energy efficient. Once we completed a schematic design with typical modular dimensions in mind, we sought input from the modular fabrication specialists at Virginia-based Cardinal Homes. Once the design had been refined during the design development phase, including energy modeling, specification alternatives, and finishes, Cardinal was able to price the project and begin construction drawings for the framed portion of the house. Fabrication could then be completed with three weeks of factory assembly and six weeks to three months on site.